“Gate Repair Orange” is the service provider that you can always depend on for all your driveway gates needs. You can count on our experience and dedication to find the root cause of the problem and provide you with the best solution. Our technicians go through continuous training to ensure that our company can cover any possible need a gate owner might have. Gate Repair Orange has been servicing gate owners around the area for years now. 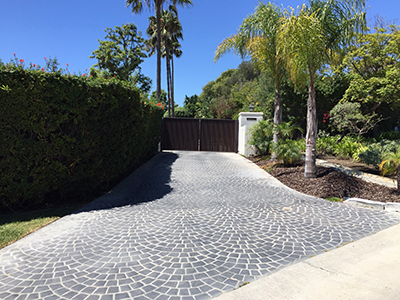 You can always count on our professional driveway gate repair services, from problematic tracks to malfunctioning openers. Our company understands that these problems must be handled immediately to prevent inconvenience, as well as security concerns. Our same day emergency service is offered in order to take care of pressing matters right away so you don’t have to worry about them. We can troubleshoot all issues that you may have, including broken or damaged tracks, hinges, rails and wheels. Our technicians will perform a thorough check on the situation so that the best solution to the specific concern can be provided. However, there are times in which the best thing to do is to replace the damaged part as trying to repair it may only be a short time solution. How about adding a brand new automated driveway gate? We also provide professional installation services. Our experts are highly trained in installing new units, including the posts, opener and of course the unit itself. Accurate installation work is important to ensure that the gate would work properly for your convenience. You can also avail of our maintenance service for the regular check and care of your gate, whether it’s for your home or business. Regular maintenance can help you in keeping a fully functioning and safe to use gate for long years to come. Thinking about getting a new driveway gate? Give us a call for any question or service!